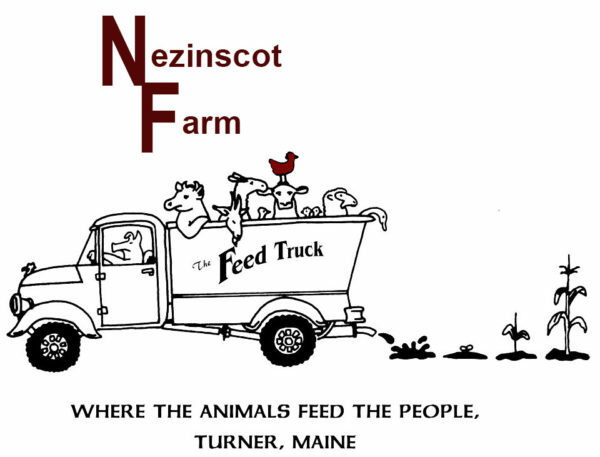 Nezinscot Farm Store: Gourmet, artisanal and handmade items. Our Farm Store stocks quality organic food. Nezinscot Farm Store is a family run business. Our goal is to provide the highest quality natural, organic and sustainable foods in an inviting atmosphere. The Farm Store offers a full array of natural foods, groceries, organic produce, special diet foods, macrobiotic foods, herbal products, body care products, household goods, books, and much, much more. The Farm Store stocks produce that is organic and seasonal. We produce most of the items in the spring and summer seasons and rely on Alberts Organics for fruit and veggies in the fall and winter. The Farm Store stocks a variety of organic brands, which includes items that are gluten free and sugar free. Student & Senior discounts available. Our Farm Store cafe menu changes seasonally. All meals are prepared in house. using the freshest ingredients grown and harvested on premise or sourced from local farms and artisans. We now supply a few local shops in Maine and several of our products are available online. Gloria’s role at Nezinscot Farm has been to educate all those that visit the importance of understanding and learning where and how food is produced. Gloria has created her own classroom at the farm; all those that visit are able to educate themselves simply by being present at the farm and getting first-hand access to the questions they have. A graduate of the Culinary Institute of America, Ashley joined Nezinscot Farm Store & Cafe as Head Chef and Baker. She loves food and brings new and enticing recipes to our loyal customers. Working in corporate marketing Samantha manages Nezinscot Farm’s presence on social media and web content creation. Feel free to chat with her on Facebook, Instagram or via email admin@nezinscotfarm.com if you have any questions.